Any film that covers thirty years in the life of its subject will inevitably contain an generous amount of incident, especially if that person is as industrious and well-travelled as Jacques Cousteau. Despite Jérôme Salle’s biopic The Odyssey providing a breathless and thorough account of the oceanographer’s technical innovations, canny harnessing of global celebrity and difficult familial relationships, however, the most significant event it depicts is a simple change in perspective. 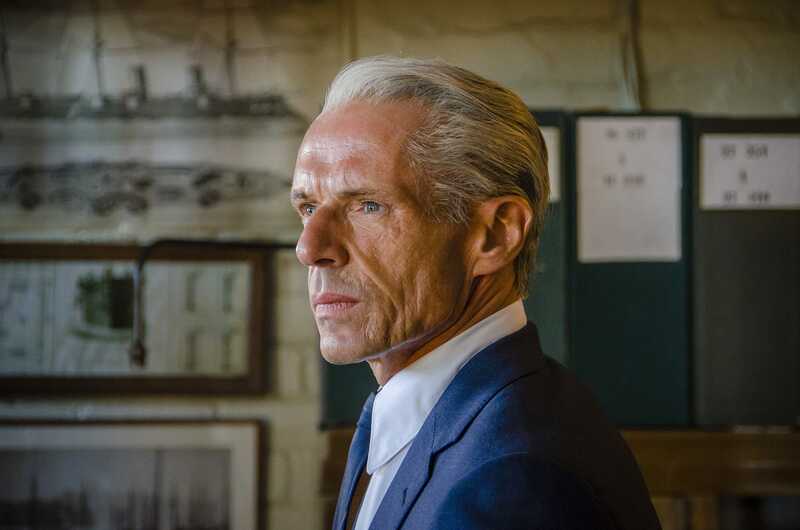 “No no no no no, you did not understand, no”, Cousteau (Lambert Wilson) says to a row of American TV executives. “I am not making animal documentaries. I am going to tell the story of men who are going to explore a new world.” The disdain in his voice might seem surprising given his reputation as a director of nature films – his feature debut The Silent World (1956) was the first documentary to win the Palme d’or, and he made over 120 documentaries for television – but Salle returns often to the idea that Cousteau is more enamoured with the romance of exploration than with anything that actually lives in the deep. The line between adventurer and colonialist exploiter is shown to be perilously thin, as early boasts about “the sea’s fabulous resources, waiting for us” are supplanted by the sight of offshore oil rigs whose existence Cousteau is personally responsible for. With his indifference to natural life and willingness to stage scenes, Cousteau’s approach had its roots in early ethnographic features like Robert J. Flaherty’s Nanook of the North (1922), which presented recreations of the Inuit tribe’s earlier way of life as contemporary fact. Such laissez faire attitudes have been superseded by nature documentaries that take pains to use hidden cameras and non-invasive techniques, as well as filmed polemics like An Inconvenient Truth (2006) and this year’s follow-up An Inconvenient Sequel that explicitly aim to warn against the destruction of the environment. Instead of the emphasis being comradely adventure and the journey of man – “it’s not stories about fish that interest people, it’s stories about people”, Cousteau argues – this is now seen a fundamentally selfish dereliction of responsibility. In The Odyssey, it takes Cousteau a few decades to come to this conclusion himself. Interestingly, Salle suggests that his ecological blindness comes from the same essential place as his philandering and his hubris: a fame-assisted self-absorption that corrodes almost every part of him. 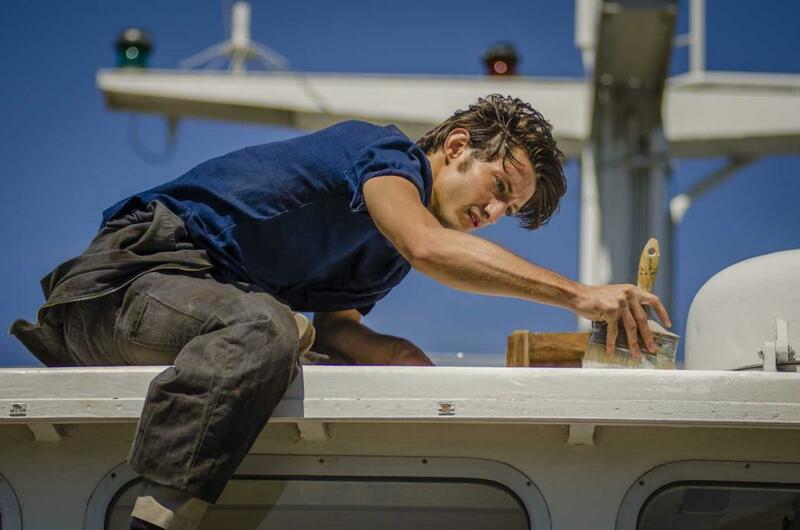 Salvation and insight must come from the younger generation, represented by his brooding son Philippe (Pierre Niney), whose concern about the crew’s oblivious actions mirrors his growing disillusionment in the father he once worshiped. 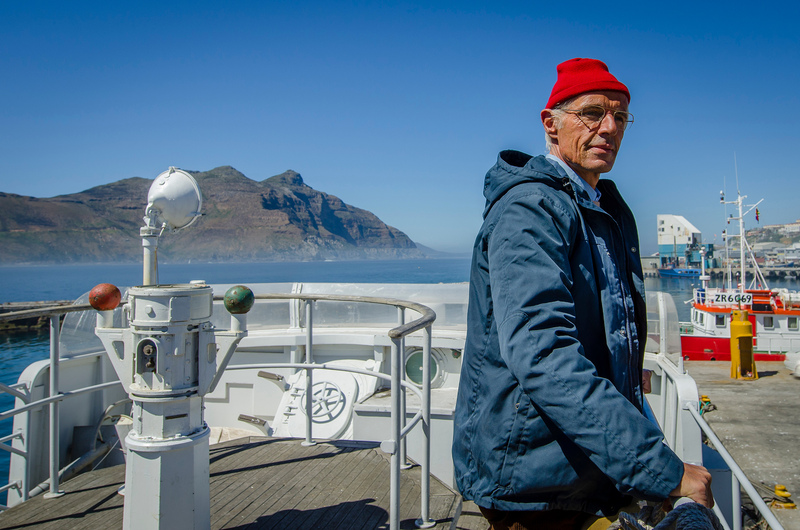 Cousteau’s subsequent evangelical conversion to environmentalism both reflected and led the shift in how the world saw the planet and its finite resources. While it’s easy for a modern audience to judge the man harshly on several fronts (without even getting into his secret second family), scuba diving technology was so new that he literally invented it. Ultimately Cousteau came to symbolise the possibility of change: where once he was happy to capture wild sea lions if it would make a good scene in a movie, by the end of The Odyssey he is telling his men to wipe their boots as they set foot onto Antarctica, lest they spread any germs.